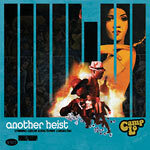 Camp Lo continues their roll with ''Another Heist.'' Once again the vivid imagery of Black Caesar, Super Fly, Black Belt Jones, Willie Dynamite, Dolemite and the like spring to the front of the mind as Sonny Cheeba and Geechi Suede take you through a brand new full length adventure. The Bronx duo keep with their trademark blaxplotation inspired sound as they're joined start to finish by long time collaborator/producer Ski (aka Ski Beatz). In addition to being the man responsible for the renowned production found on Camp Lo classics like their legendary debut ''Uptown Saturday Night,'' Ski worked on Jay-Z's debut album, ''Reasonable Doubt,'' producing the cuts ''Dead Presidents,'' ''22 Two's,'' ''Politics as Usual'' and the hit single ''Feelin' It.'' With Ski on board and behind the boards for the entirety of Another Heist, Camp Lo stays true to the sound that made them famous.